NEW TOUR DATES! We’re excited to be hitting the road this Spring with our friends I’m With Her, River Whyless, and The Brother Brothers. We can’t wait to visit some of our favorite cities and hang with some of our favorite fans. Where will we be seeing y’all? Grab tickets now for all I’m With Her dates! Remaining tickets will go on sale Friday December 14th at 12:00 PM MST. We are going to Scandinavia! You may also know the region as the provenance of Robyn. Some “people” may think this song has been “covered” a lot already, but we believe the song has ascended into the realm of "a classic” and, thus, infinite cover-ability. This is our humble addition to the canon. Cash prize for those who can spot Yan. New Single: "Get Out While You Can"
NEW TUNE "Get Out While You Can" is out in the world today. We revisited an old tune from Dark Holler Pop alongside its re-release on vinyl and kind of brought it back to life. Basically we covered our old selves as our current selves. Find it streaming anywhere you stream things here. ANNOUNCE !! We're joining I'm With Her early next year for a run of shows in some beautiful venues. We really dig the music Sara, Sarah, and Aoife make. These nights are going to be special. 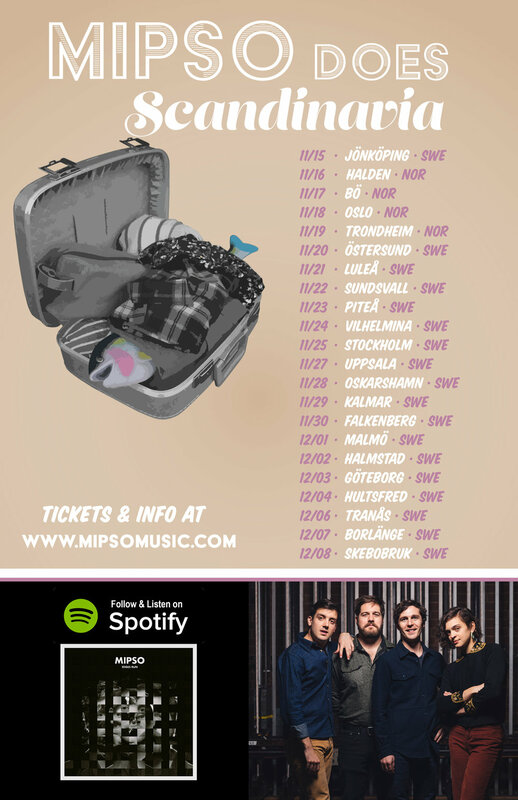 Scandinavia Tour 2018! Saunas, pickled fish, healthcare for all... we may never leave. Feeling pretty excited to be ending the touring year with our first trip to Europe. Who’s gonna catch one of these shows in Sweden and Norway?! !